Write Up: This was a project that I finally had to get a coffee maker for studio, because there was no way the professor, José Oubrerie, was going to be satisfied with my designs. 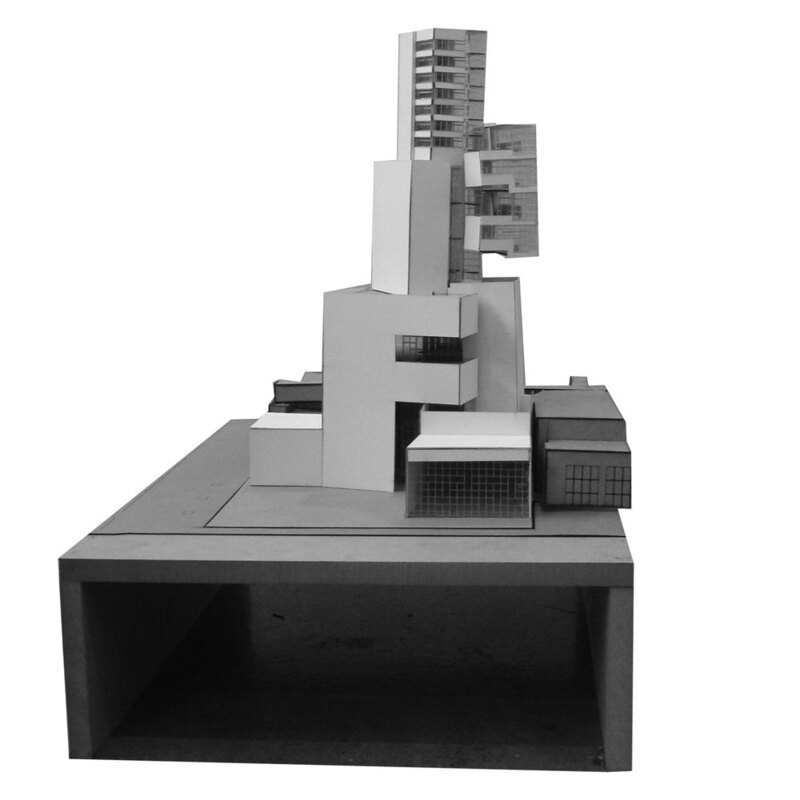 What can one expect from a protégé of Le Corbusier? I am certain I made more models for this than any other studio project and it was with mixed results. At the end of this I realized I side towards a tectonic formal quality with most of my work when a lot of the class was producing computer generated models of unattainable complexity. 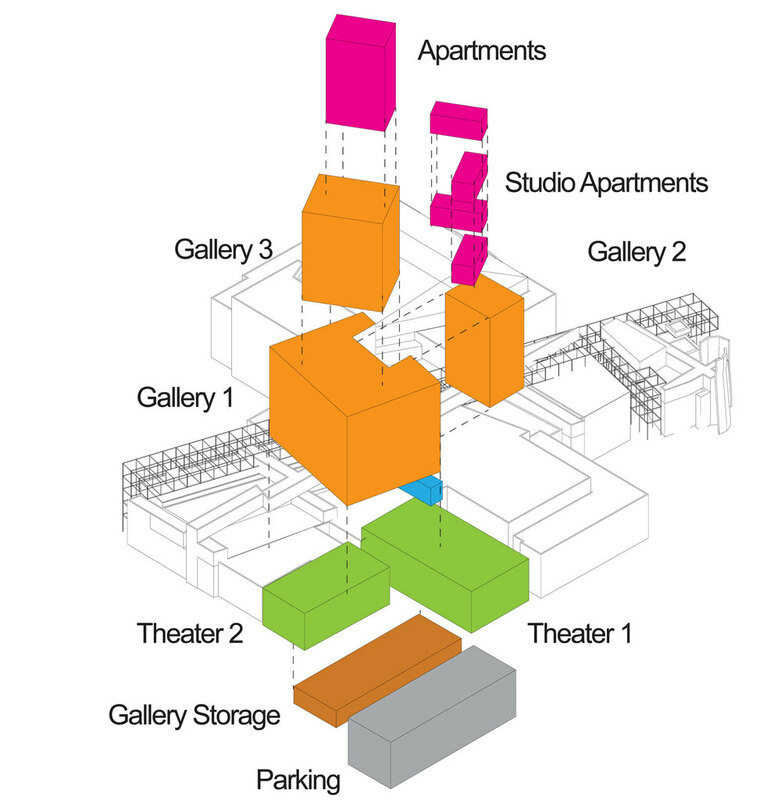 The program was to add program to Peter Eisenman's Wexner Center by providing additional galleries, theater, and the aged old apartments (for variety). I worked on a series of blue foam models to whatever I could find and hot glue together. At one point I kept going back to a model that the final design was derived from. 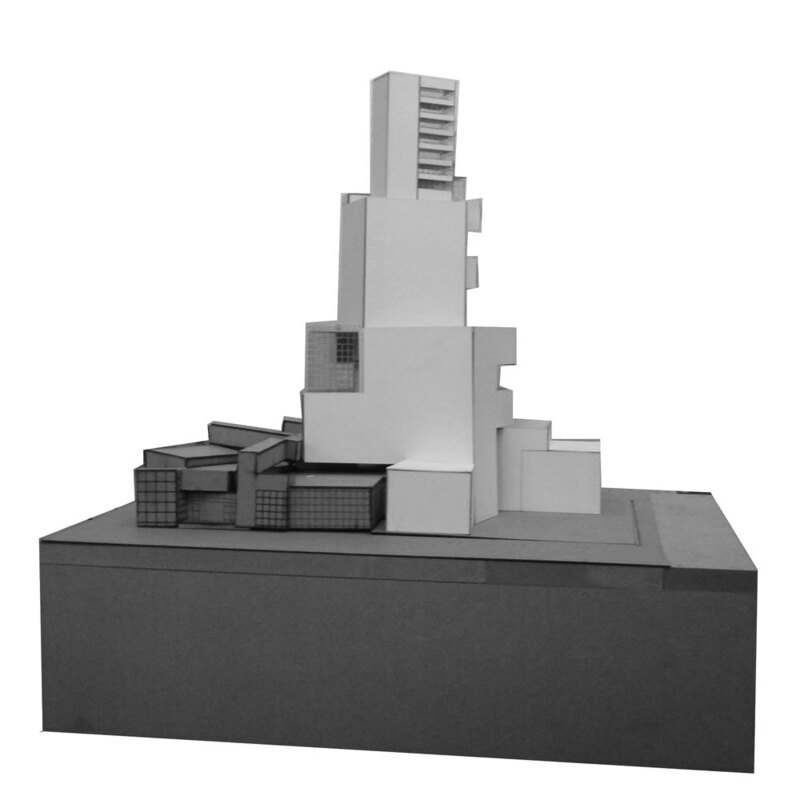 What was interesting about this model was the odd scale it produced; because galleries don't typically have windows and help distort a sense of scale. Additionally, the entry provoked a curiosity that I liked. 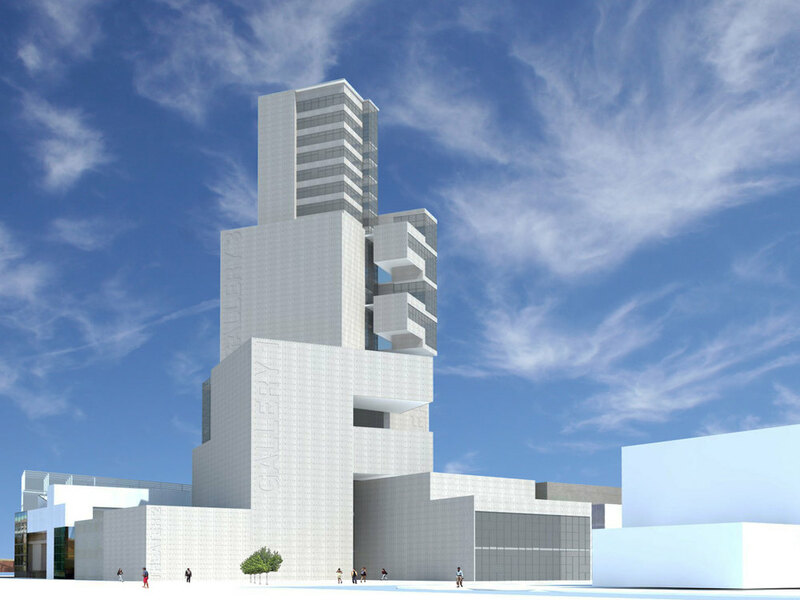 Each rotation in the tower relates to the two grids of the Columbus that the Wexner Center also is derived from. 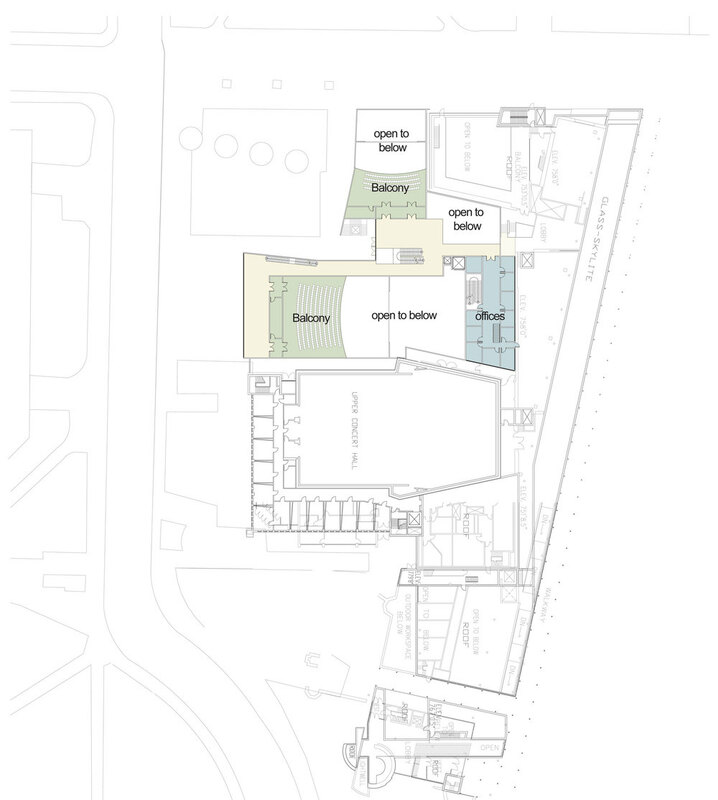 The facade was to resemble something of SANAA's New Museum in New York with the subtle text of the three galleries printed on the edges. 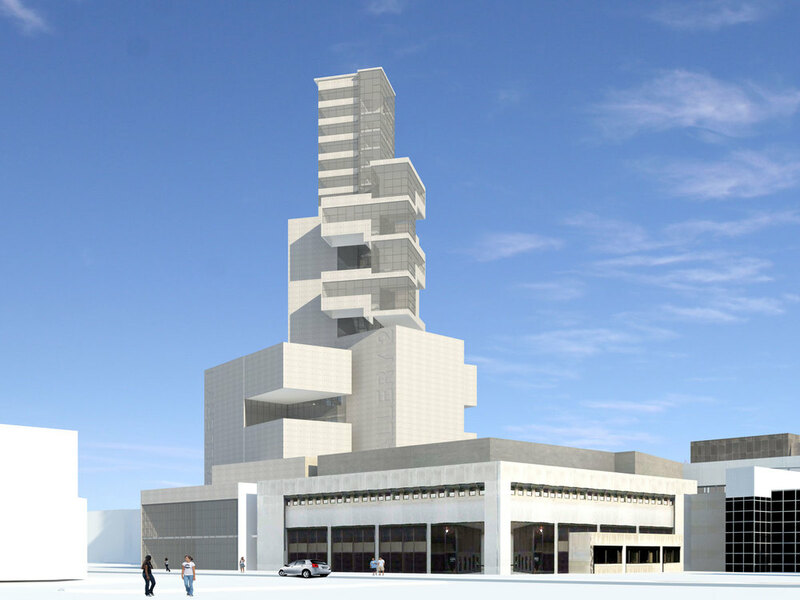 This would continue the distortion of scale and let people understand the art gallery program of the building. 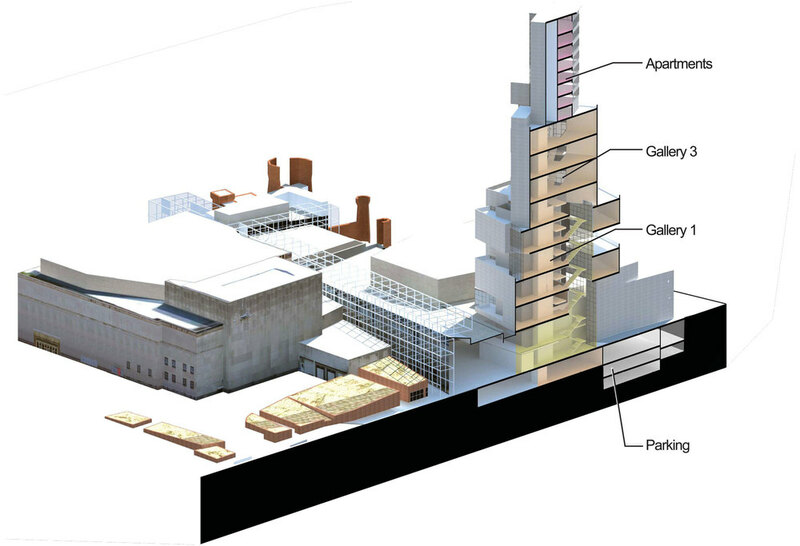 For the technicalities of the design, I wanted something that could plug into the current Wexner Center, instead of being its own piece. 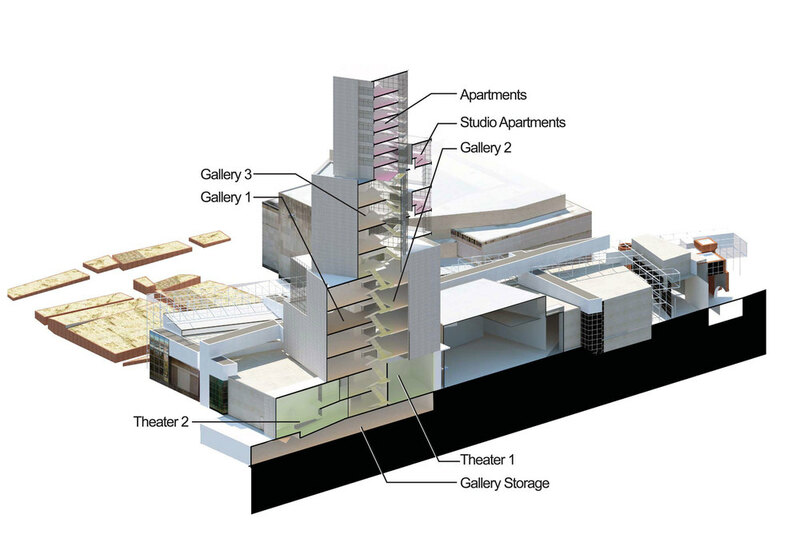 Connecting to Wexner Center wasn't easy, but I found a location that connected through a few stairs to the lobby of the black box theater, which is conveniently placed at the end of the galleries. 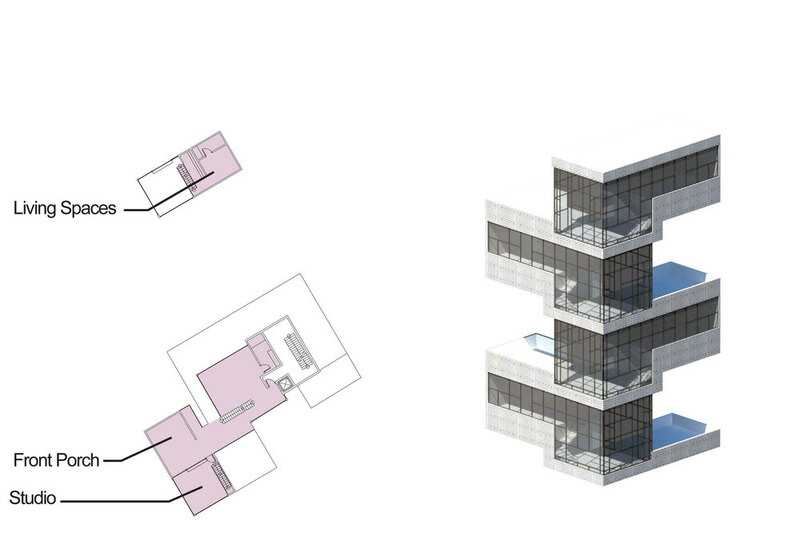 The more interesting moments in the building would be the variety of views the random windows produce. 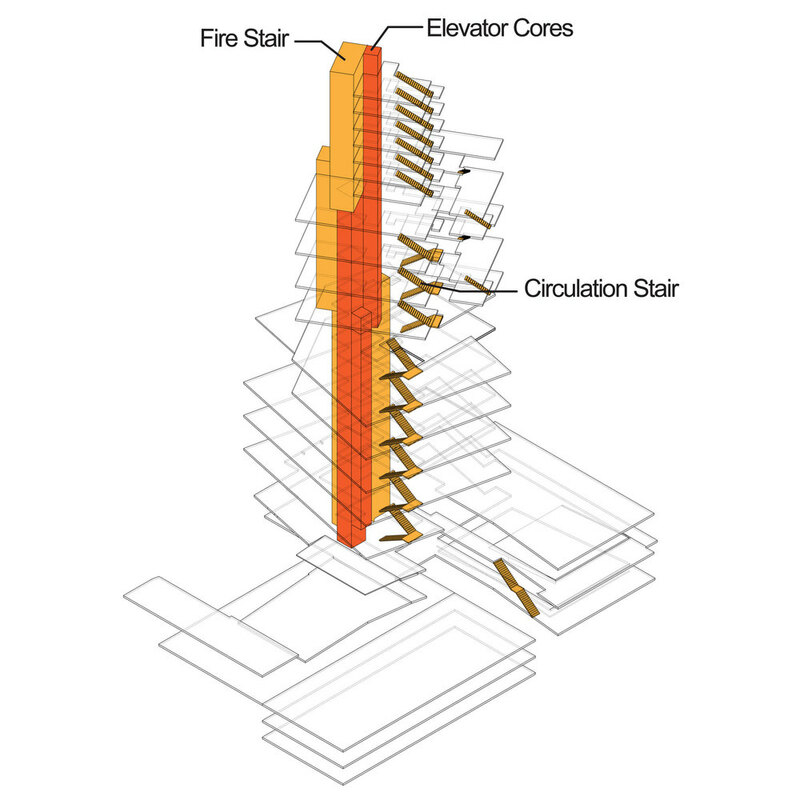 The views would certainly be good as the only tower on except a few residential towers on Ohio State's Campus.